United States Marshal on the Trail: Young Bass Reeves: A Western Adventure From The Author of "The Last Gunfighter" (The Bass Reeves Western Crime and Punishment Trilogy Book 1) - Kindle edition by Fred Staff, Paul L. Thompson, David Watts. Literature & Fiction Kindle eBooks @ Amazon.com. This story is probably more deserving of five stars, as it was an impressive reading from page one, and I was more than impressed with the author's interpretation of the War between the States. I have read many stories about this War, but Mr. Staffs rendition of the beginning really manifested my direct interest more so than any of story so far. I definitely recommend this novel to anyone loving a true old western story, which also included an interesting prelude to the Civil War. I am sure any reader of great stories will enjoy this great rendition if what can be construed to factual in most parts. Young Bass Reeves is the first book in The Life and Legend of Bass Reeves. Bass was born a slave and was raised on a farm near Paris, Texas. By the time he was 10 years old, he was already performing heroic deeds as he saved the Master's daughter and her friend from drowning and carried the injured friend back to the house. A few years later, Bass shot and wounded a white man to protect his Master's daughter, which was a hanging offense. He was not charged but was not allowed to go into town again for fear of a lynching. Bass worked on the farm until Civil War hostilities broke out. He was taken to war by his Master but couldn't help wondering if he was fighting on the wrong side. Bass escaped with an Indian named Sam Mankiller who was also disgusted by the war. He then lived with Sam and his family, and many more adventures followed. I love westerns and love history. This first book was material I have never enjoyed before. I have always been fascinated with Bass Reeves and this book gave me a great foundation for understanding the man. This is a great author and the reading is easy but captivating. I am now reading book 2 and am loving it as well. 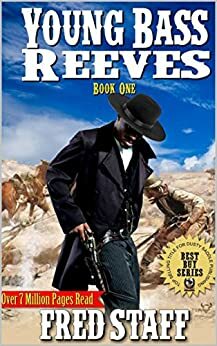 I also have bought book three and am looking forward to learning more about the great lawman, Bass Reeves. I first heard about the subject of this trilogy in Bill O'Reilly's Legends & Lies. I was so surprised that he is so unknown. I purchased the 3 books on my Kindle app and I'm glad I did. If the next two read as well as this one I've made a great purchase. The author has given real life to Mr. Reeves I enjoyed all of the story. I don't want to outline or summarize it because you should read it. This outstanding unique man deserves center stage in the history of the American West. This was a long really two books, but was not a dull moment in either of them Started out with a good led and took you thru a sad time in our history slavery and the civil war told how life was t o both a slave and a common soldier . Was just a well told story about a black federal marshal his life his problems and how he handled them If you like a good western this is one. I love this book. I hesitated to buy it because it was about a real person, but I found the book so interesting that I couldn't put it down. I also bought the series so that I could learn more about Bass. It's hard to believe that a black man back in the 1800 was accepted as a law man. This is great history to find out about and enjoy reading and learning about the West in so easy to read format. I love the history of the African American cowboy so much that I wrote my own western called The Tales of Two Gun Twelve. 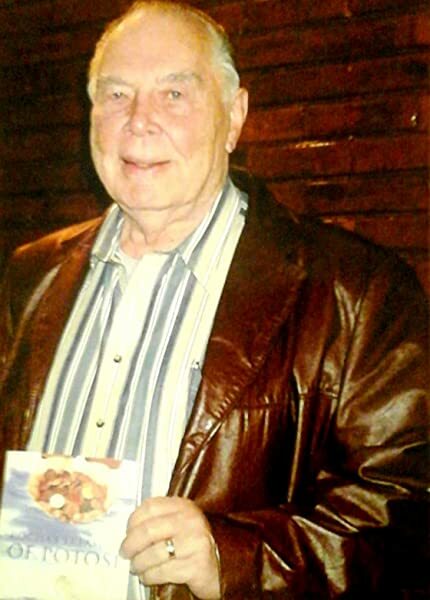 By Barry McGuire of Houma. Bass Reeves has always been one of my favorite African American Cowboys. It is a fact that the Lone Ranger was a white guy playing Bass Reeves as racism would not allow any Black man to be looked upon as heroic. Well written book with a great group of players. Read the whole series and loved it. Great history here.